In order to properly select the soil parameters of the proposed cofferdam site, the use period of the cofferdam must be determined. 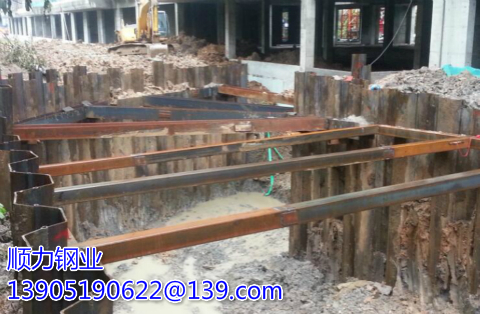 Because the cofferdam is a temporary structure, in most cases the total stress parameter can be chosen. Account the consolidation behavior of the cohesive soil, and if there is any uncertainty, the effective stress parameters should be used for checking. According to experience, it is recommended to use the period of 3 months and more than 3 months of cofferdam using effective stress intensity parameters for size analysis. For clay containing silty interbeds, effective stress parameters should also be used for cold-formed steel sheet piles Cofferdams with shorter service life due to rapid drainage.